Ciara Is Super Petty And I Love It! Watch As She Refuses To Say Future's Name While Announcing The Billboard Award Nominees - Ooooooo La La! 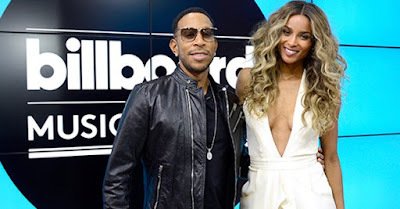 While announcing the Billboard Music Award nominees live on Good Morning America this morning, Ciara refused to say her ex, Future's name. Ciara has no problem saying Drake, Fetty Wap, Wiz Khalifa and Silento's names while revealing the nominees for 'Top Rap Artist'... but, when it came to saying Future's name, she went mute. Ludacris came in with the save after noticing Ciara's pause and he said the dreaded name. Ha, ha, ha! Gotta love the petty level of Ciara.